This book focuses on how Microsoft Dynamics AX 2012 R3 provides an integrated ERP system to support warehouse management in manufacturing/distribution firms. It also covers the integration of warehouse management with the larger context of supply chain management, as well as the integration with quality and transportation management. The targeted reader includes those individuals implementing or considering Dynamics AX as their ERP system, as well as those providing consulting assistance. 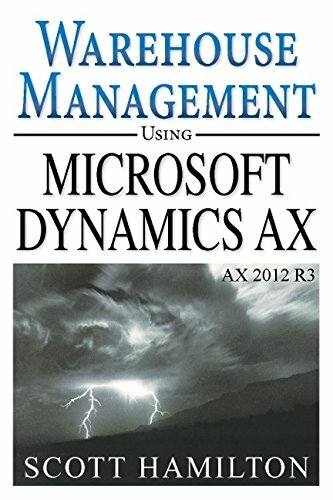 In particular, the book addresses the capabilities and major options for warehouse management within Dynamics AX consisting of a basic approach and the recently released advanced approach. The book contents have been segmented to support several categories of targeted readers, so that you can focus on just the relevant chapters for your learning objectives. As the 9th book in Dr. Hamilton s series about Microsoft Dynamics AX, it extends the previous explanations of supply chain management in a broad cross-section of manufacturing and distribution firms. 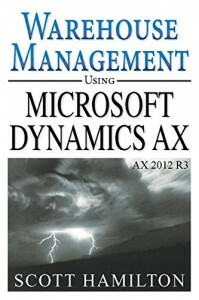 These books covered previous releases of Dynamics AX 3.0, AX 4.0, AX 2009 and AX 2012. Scott Hamilton consults and teaches globally on SCM and ERP issues, and has consulted with several hundred businesses involved in manufacturing/distribution. He authored Maximizing Your ERP System and eight previous books about Microsoft Dynamics AX. Scott has been a multi-year winner of the rarely given Microsoft MVP award for Dynamics AX, and earned a doctorate in information systems specializing in manufacturing. He currently contributes to the initiatives by Columbus for the manufacturing industries, and writes a regular column – The AX Solution Architect – for MSDynamicsWorld.com.